Desford is a village and parish in west Leicestershire, seven miles west of the city of Leicester and five miles east of Market Bosworth. There was one school which was funded by subscription and had 20 pupils. The teacher was paid £10. A National School, with 48 male and 12 female pupils, funded by an annual allowance of £5 from the National Society at Leicester, other subscriptions and payments from the children. Another school with 10 male and 30 female pupils. Another school with 8 female pupils. A further school established in 1826, with 16 female pupils. 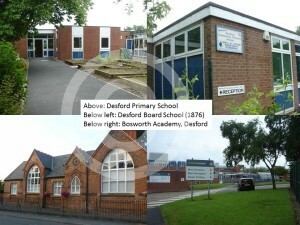 Another established in 1829, with 3 male and 9 female pupils. 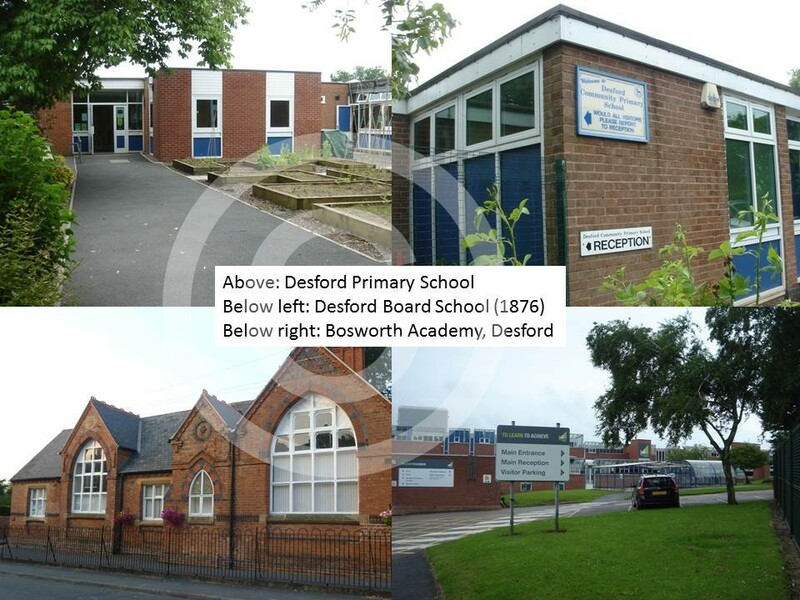 A sixth school was established in 1833 and had 4 male and 8 female pupils. With exception of the National School, the remaining five schools were funded at the expense of the parents. It is unclear whether the school listed above was a Sunday or a daily school. No other schools are listed. There was one Sunday school with 91 male and 109 female pupils, which was funded by the Rector and by collections made at the annual sermon. There was one Sunday school united to the National Society, which had 132 male and 147 female pupils, including those attending the day school mentioned above. The school was situated within part of the church and had 15 male and 18 female gratuitous teachers as well as 4 male and 2 female paid monitors. The school was funded by subscription. The Rector stated that the Sunday school was held in the church and alternated between the mornings and the afternoons. The average attendance (in the nine months before the Census was taken in March 1851) at the Anglican Sunday school was 200 pupils in the afternoon and 170 in the evening, with no morning attendance figures listed. Although there were two nonconformist denominations, the Particular Baptists and the Primitive Methodists, neither had a Sunday school.